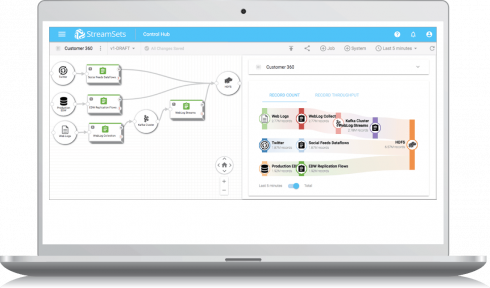 StreamSets is expanding on its DataOps platform to bring modern data integrations to data centers and leading cloud platforms like AWS, Microsoft Azure and Google Cloud. The latest release features data drift capabilities, continuous integration and delivery automation, and policy-driven data protection. According to the company, DataOps is the idea of bringing DevOps practices to data management in order to reduce data analytics cycle times, and focus on automation, collaboration and monitoring. The DataOps platform was built to provide cross-platform data integration; data SLAs for continuous monitoring; measurement and enforcement; continuous integration and delivery of dataflows; and data drift resilience. New data drift capabilities are designed to handle cloud data stores and improve pipeline resilience. Data drift causes unexpected changes to data structure and if not addressed, can cripple analytics initiatives, StreamSets explained. The CI/CD features are meant to bring DevOps agility to dataflow pipelines, and new data protect policies provide the ability to manage security and compliance in one place. In addition, the company announced a $35 million round of funding, bringing StreamSets’ total funding to more than $65 million. The investment will be used to accelerate research and development efforts as well as improve customer-facing functions. The Series C funding round was led by Harmony Partners and included Tenaya Capital, Battery Ventures and New Enterprise Associates.